PlayStation Network today suffered the first outage of 2016 even as angry fans took to Twitter and Facebook to express their frustration at not being able to either login or play games online. 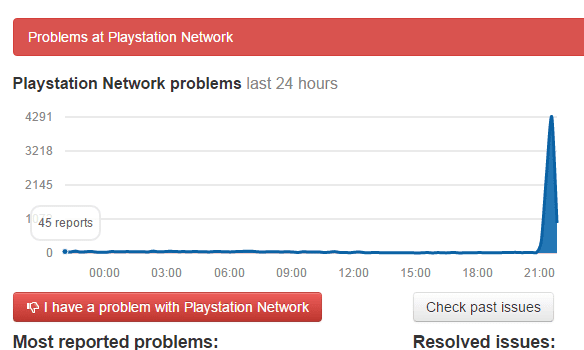 The PSN went down exactly at 11.15 am EST and for past half an hour the hashtag #PSNDown on Twitter is filled with angry tweets from the gamers. Anyone has any idea what is going on? I cannot log in to PSN on PS4. Keep having WS-37397-9 error. Same thing happens on PC when I try to enter psn store website or Playstation app on mobile. PS3 doesnt work either (80710016 error). I seems like BAN on ISP IP because my neighbour (same ISP) cannot log in either. Yesterday it worked for about 15min but network status didn't verified NAT. Since then it's fucked. ISP says it's not their fault. PS support says to rebuilt database which I already did and no effect.I changed mac, changed DNS, restarted router, opened ports and still nothing. DDOS from my town or what? Anyone has any clue? The outage tracking website, Outage Report shows massive disruptions in network in United States and Europe. Surprisingly Playstation's own status tracking website, status.playstation.com/en-us/ shows that all services are up and running. This may one of the reasons the PlayStation users are pissed at Sony as seen from the tweets. 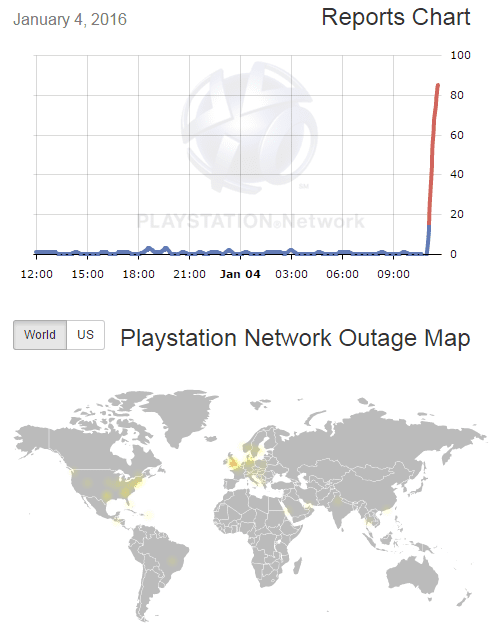 Another outage tracking website, Down Detector showed similar status about PSN being down. The reason for this first major outage of 2016 is not known as of yet. We are reaching out to Sony and PSN to clarify the status of the network and will keep the post updated. I'm really impressed after reading this blog post. I really appreciate the time and effort you spend to share this with us...!